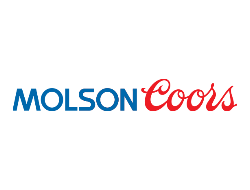 Molson Coors Canada, founded in 1786 by English immigrant John Molson in Montreal on the banks of the St. Lawrence River, is North America’s oldest brewer. The pride of craftsmanship instilled by John Molson over 229 years ago is what makes Molson’s leading beer brands, including Molson Canadian, Coors Light, and Rickards, so popular with consumers. They are the largest Canadian brewer with seven brewery facilities and 3000 employees. Their brewing mastery comes from their commitment to the craft. Many of their brewers have backgrounds in engineering, biology, or chemistry. Their brewer training passes trade secrets down through the generations. And, a small-scale trial brewery operated by Molson in Toronto lets brew masters experiment to improve existing brews and develop new ones to keep the brand fresh. Great beer is impossible without passion, but meticulous attention to detail ensures the consistency that makes a brand endure. Every supplier who works with Molson Coors must meet rigorous standards for ingredients and materials. Each brew is closely monitored and evaluated for quality before being distributed with the Molson Coors name.